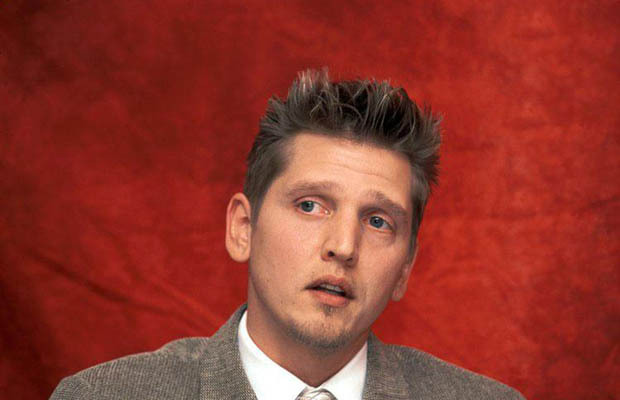 Barry Pepper, the talented Canadian was born on April 4, 1970 Campbell River, British Columbia. Pepper has worked with award winning filmmakers and alongside notable actors. He has made his name in the industry through hard work. Today, Pepper has got worldwide fame. When Pepper was born, his family had already been working on building a ship in their backyard. When Pepper was five years old, the ship was completed and the ship, along with the family, was set off to sail. Pepper’s family remained on course, through the South Pacific islands, for five years. They visited the exotic places like Fiji and Tahiti. Because of the cruise, Pepper was educated through correspondence courses and was sometimes enrolled in the public school. After the family returned from the cruise, Pepper got himself enrolled in George P. Vanier Secondary School. Since, while on the cruise, Pepper grew around Polynesian children, he also grew fondness for music, dance, and other expressive arts. Therefore, at school he keen about arts. Pepper also excelled in sports as well. During the secondary school, Pepper’s mom enrolled him in ballet classes –he was also taught breakdancing as well. Once graduated from high school, Pepper started college and pursued a degree in marketing and graphic design. However, Pepper had his heart set on acting. So, he took the decision of transferring from the college for good to Vancouver Actors Studio and shifted his focus on acting. In 1992, Barry Pepper appeared on the televisions’ screen, for the first time, with a small part as a debutant in the show called, A Killer Among Friends. After a short appearance in ‘A Killer Among Friends’, Pepper appeared on Madison. Madison was a teen show and Pepper remained associated with the show for three years. Pepper was progressing in his career but he still didn’t get the limelight shone on him. He was a hard working actor but he wasn’t a known superstar. It’s true that hard work doesn’t go in vain and finally Pepper landed in a big project. He was cast in Steven Spielberg’s award winning film, Saving Private Ryan. Pepper donned the role of a Catholic sniper who had strong religious belief and deadly instincts. His character was named Private Daniel Jackson and with his charismatic personality Pepper shone during his screen time. It was a big project for Pepper. Not only he was working with an established director but the film also had Tom Hanks –winner of two Academy Awards. From then on, there was no turning back for Pepper. He was once again cast alongside Hanks in the movie based on Stephen King’s novel, The Green Mile. Pepper acted as a prison guard who watched out the aisle of the convicts who were sentenced to death. Pepper, once again, showed the audience, critics, and filmmakers that he was an exceptional actor. Subsequently, Pepper appeared in hit movies, Knockaround Guys, Enemy of the State, We were soldiers, Lone Rangers, Snitch, Broken City, Casino Jack etc. Pepper appeared on a mini-series called, The Kennedys. Pepper’s magnificent acting in The Kennedys made him win an Emmy Award for Outstanding Lead Actor in a Miniseries. Currently filming for Maze Runner: The Scorch Trials and Monster Trucks, Pepper is busy in proving his acting abilities to the world again. On note to his personal life, Barry Pepper is happily married to his secondary school sweetheart Cindy Pepper. They both have a loving daughter, Annaliese.